Dansko was created about more than twenty years ago. Mandy Cabot and Peter Kjellerup believe that a simple pair of clogs changed their lives and others as well. The clogs was mentioned friend to friends and the company was born. The company is based in Pennsylvania. They offer a complete line of footwear - sandals, flats, boots, heels, wedges, sneakers and many types of clogs. Dansko has so many footwear and hard to just choose one. I finally picked their Helen Suede, in color grey/pink. It was a great choice for me. I'm a busy mom of three boys. The color grey/pink can match with many different outfits. The quality of the sneaker is superb. The Helen Suede sneaker is durable to last. These are a wonderful pair of sneakers to treat myself for Mother's Day! The Helen Suede is available in colors Black Orchid Suede, Grey Pink Suede, Mocha Citrus Suede and Navy Aqua Suede. The sneaker retails for $109.95. They come in sizes (US) 5.5 - 12 and (EU) 36 - 42. The sizes many vary depending online stores. 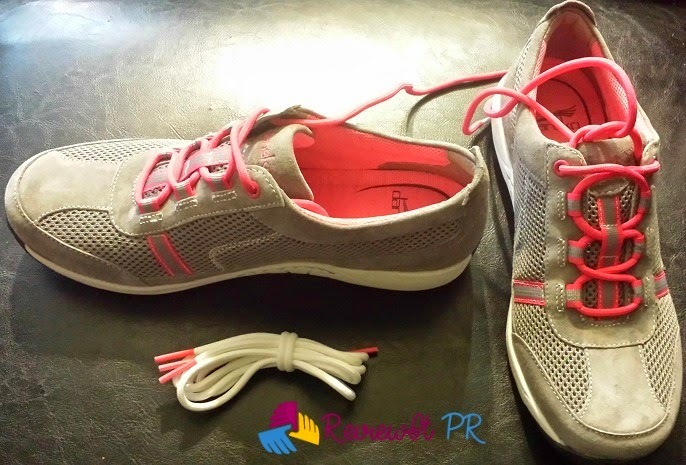 You can give these wonderful sneakers to a mom, as a gift for Mother's Day. You can view and buy other footwear or Helen Suede sneakers visit Dansko. Removable PU footbed with memory foam and built-in arch support. Flexible Strobel construction and lightweight, shock - absorbing midsole. Available in Scotchgard treated suede and mesh upper with coordinating laces. The Scotchgard offers stain resistance. The Helen is a sporty sneaker offers comfort and support. 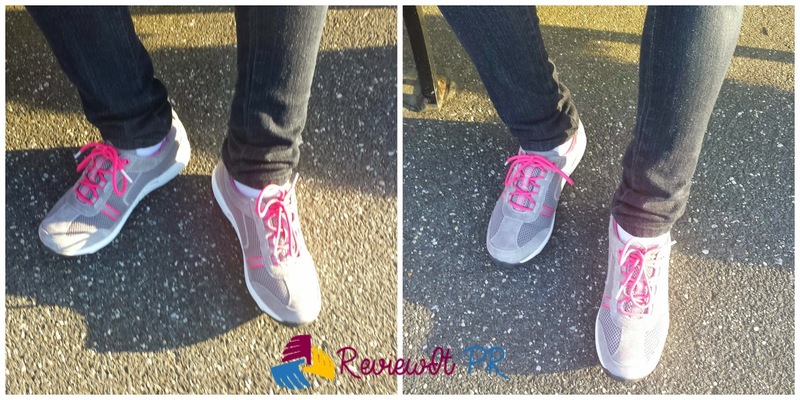 We recommend the Helen Suede sneaker and give a rating of five thumbs up. It's perfect for work, walks, exercising, jogging and looking good. The Dankso Helen Suede came nicely packaged. Inside the box, came a nice looking shoe box. 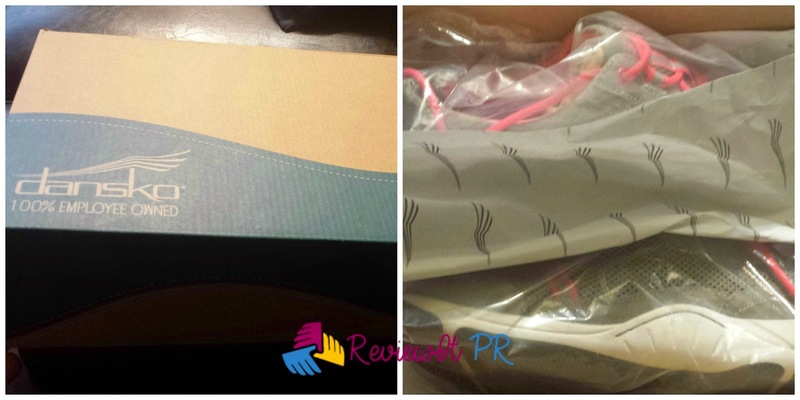 The pair of sneakers was placed in clear plastic bag. Dansko does nicely with customer satisfaction! Dansko has offered to giveaway a Helen Suede sneaker to one of our readers. The giveaway is open to US residents only and 18 + years of age. Enter the giveaway via Rafflecopter form below. Honestly, I like all of them aside from the "citrus/orange" one. However, my favorite would be: Black/Orchid Suede Leather. It's probably my first choice. I would probably pick the Black/Orchid Suede Leather ones because I totally love those. I like the grey/pink ones but love the black/orchid. Wow, I would go with the grey or the black ones! I love the Mocha Citrus Suede shoes, so neat! Thanks so much for hosting this giveaway! I like the Black/Orchid Suede Leather. I like the Grey and Pink Suede color! I like the mocha/citrus combo! With the gray and pink that you posted being a close second! I would choose between grey /pink and citrus/navy colors. my wife would like the mocha/citrus shoes. I like the Grey/Pink Suede Leather. Thanks. I love the grey/pink ones! I love the navy aqua! I like the Mocha Citrus. I love the black/orchid ones! I like the black/orchid the most. I would like to get the Black/Orchid Suede Leather. Thanks for the chance! Black-Orchid Suede sneakers are really cute. I'd love the Black/Orchid color! the black and purple ones! I would be happy with the Navy/Aqua color! I like the Black/Orchid color. I'd like the gray/pink color! Olive green and Burnt umber! I would love the Navy Aqua Suede shoes. I think I'd pick the gray pink ones too! I'd pick the gray and pink ones. I would pick the black orchid suede. I would choose the Grey/Pink Suede Leather just like you! My favorite for sure. http://www.bluefly.com/search/?q=dansko. I would love to try out these shoes, if i win this giveaway. I might choose the Mocha Citrus Suede! I like them all especially the Navy/Aqua Suede Leather. I like the Grey and Pink ones! I would like the Grey and pink ones! I think I would get the navy/aqua color. I would be so very greatful for any of the shoes. But, if I had to choose..... I would pick the black/orchid. Thank you so much for the giveaway! I would love the Black Orchid Suede! Thank you for this chance! It's a tie between the Grey Pink Suede and the Navy Aqua Suede but I love pink so. Any color would be great. Love the gray and pink. I'd Like The Gray/ Pink Color. I would like grey/pink. Thanks for the op!